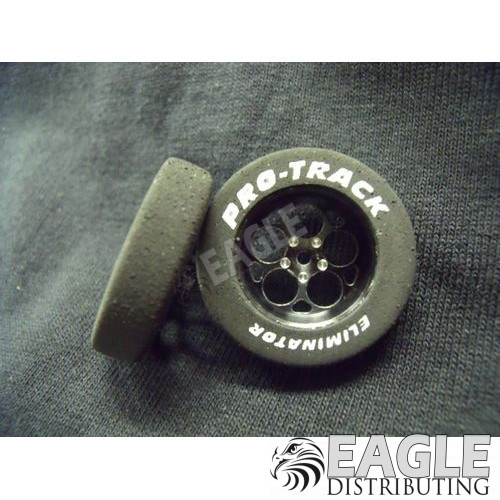 Pro Track Magnum Series Foam Drag Front Wheels are CNC Machined for accuracy. The wheels are approximately 1 1/16" in diameter and covered with foam. The width is .250" (1/4") with an extended hub for a total width of .360. The Axle bore is .063" (1/16") and can be fitted on piano wire or brass pin tubing for the axle. The wheels are CNC Machined from aluminum and have a black anodized finish with some post machining to highlight areas of the wheel.